Marshay Patterson graduated the HOPE program on March 13th 2015, at that time committing to an oath to turn her life around. It was a commitment and opportunity she did not take for granted. We all have a story and while it may be a troubling one, she is thankful that her story has led her to Hope for Prisoners. Marshay is 30 years old and grew up in Southern California. She is the third oldest of seven children. Her biological mother struggled with drug addiction and as a result lost custody of all of her children. Marshay and her twin brother were adopted by her Mother Francis, who now resides in Mississippi and her Father Clarence. Her parents were able to adopt four of the seven children. Marshay stated that she lived a very sheltered lifestyle. She had amazing parents and guidance and wanted for nothing. She excelled in academics, volunteered a lot, earned an Associate’s Degree in Criminal Justice and aside from a speeding ticket here and there managed to stay out of trouble. She shares this because trouble can find anyone. The thing that makes the difference in our lives are our choices. Whether we make a good or bad choice there will always be a consequence. She believes you’ve heard many times before that your association’s determine your destination. That is a big part of her story and how she ended up here at Hope. In college Marshay met a man whom became a big influence in her life. They dated for 6 years and 3 years into the relationship he experienced a few challenges and made a decision to go back to the streets and hustle. As much as she cared for him, there was a part of her that knew she should have parted ways with him because they no longer shared the same values. Her choice to stay in that relationship led her down a dark path. She accepted the dysfunction of the relationship she was in, it became her norm and she was introduced to many things she never imagined she would have been involved in. Marshay wanted out, but had isolated herself from friends and family and was solely dependent on her boyfriend at the time. She had trouble finding work in California so it was her boyfriend’s decision to move to Vegas. Eventually she separated herself from him and moved to a transitional house where she became House Manager. She was still having trouble finding work so Clark County social services told her to go to Hope for Prisoners because they help felons find jobs. That’s all they told her and boy were they wrong. 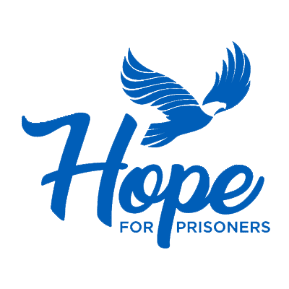 Hope for Prisoners does so much more. By the time she came to the orientation she was desperate for help. She had made up in her mind that she needed help or was going to have to go back to the unhealthy situation. Jon called her the Friday before class to let her know she made it and she could not stop crying tears of joy because this was the lifeline she needed. The workshop took her from a place of hopelessness and ignited a fire in her that refused to burn out. When she came she was depressed, suffering from anxiety and PTSD. But Jon made it clear where she came from didn’t matter and helped her visualize her future. Miss Barbara Lupe helped her build up her self-esteem and Greg Ketter taught her the value of hard work and perseverance. On graduation day she shared her Vivid Vision and is proud to say that with the help of her Hope family she has accomplished most of her goals. She has her own place, worked at McDonalds as a Department Manager, and was the Vice President of the Leadership Academy run by Chris Petko, where he has been working on helping her become a more effective leader, the importance of identifying her core values, and developing her leadership vision. She has participated in the womens group, book clubs, the financial workshop and a few volunteer opportunities. She enjoys being with her Hope family and for the first time in a long time she feels at peace and is truly happy. She is thankful for the family she has here and for having positive people to share her life with such as Thomas, Art, DP, Officer Drew and her Fiance Nick to name a few. “Look, I can’t promise it will be easy but I can promise you it will be worth it. Stay connected and know we have your back,” Marshay says. Congratulations! It is your time to make the rest of your life, the best of your life.